This is Generation Z, explored and explained by a leading Gen Zer and his expert guests from different sectors. Business leaders and industries who aren’t adapting to generational shifts in the market will be left behind. Understanding what drives, motivates, and influences these tweens to young adults makes recruiting employees, members, consumers, clients, and advocates easier. Because one thing is certain: Zs have little in common with their elders. Catch conversations around pop culture, trends, best practices, and how to’s. 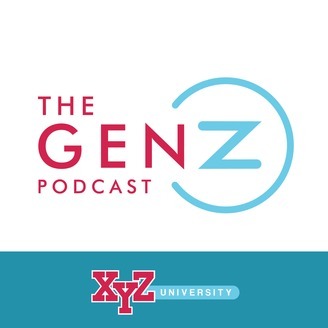 In this episode, Josh interviews Emily Dickens, Chief of Staff of the Society for Human Resource Management (SHRM), discussing what the arrival of Generation Z means for the future of the HR profession and the greater workforce. Takeaway – 1: Yes, Generation Z wants purpose in their work -- all people do. But the majority of Gen Zs are more motivated by financial stability than job enjoyment. Takeaway – 2: The best organizations are never content -- they feel they can always do better, especially as it becomes to engaging Gen Z. SHRM, specifically, has continued to do excellent work revamping and strengthening their student chapter program. Takeaway – 3: Every student in the country is entitled to an excellent K-12 education. College, however, needs to be reevaluated and looked at as an option for students rather than a requirement. Takeaway - 4: An association’s value to Generation Z has three main components: Education/Certification, Community, and Advocacy. Guest Name and Title: Emily Dickens is the Chief of Staff at the Society for Human Resource Management (SHRM). She is the executive responsible for coordinating staff to implement the CEO's vision, serving as corporate secretary for the SHRM Board and subsidiary boards, as well as managing external partnerships and providing oversight for the Government Affairs division. 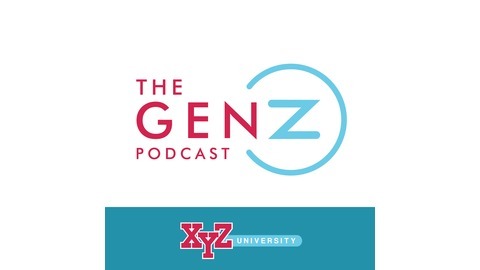 13: What Gen Z means for the Future of Healthcare w/ Frank Jaskulke and Tyler Ebert.